There is a growing body of literature that points towards the great rewards that cross-disciplinary study can yield. Economics and anthropology are no exceptions to this. Economics has traditionally studied the more quantifiable dimensions of society with the aid of theories and empirical analysis. On the other hand, anthropologists have flirted with the extensive margin of social science studying entire cultures and communities to gain in-depth insights. Economics and anthropology have shared a history of little interdisciplinary interaction. This lack of cordiality has accounted for limited cross-disciplinary publications between them. In this chapter, we explore what each individual discipline offers and attempt to identify whether their broken communication can be resolved in particular to the field of displacement studies. Based on the first-hand study regarding the long-term impacts of displacement on local communities, we find out that the combination of anthropology and economics offers the most holistic perspective to assess the multi-dimensional effects of displacement because it can capture both the process and the outcome of displacement. The approach not only allows us better understand the direct livelihood impacts but also it provides insights to look at the complex ways that displaced communities’ capacity for coping with displacement intersects with local historical context over different time periods. 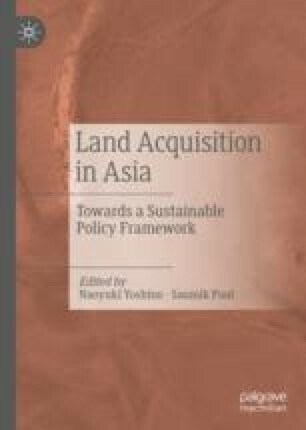 We use this interdisciplinary model to study long-term livelihood and welfare consequences of forced displacement in Asia in subsequent chapters.